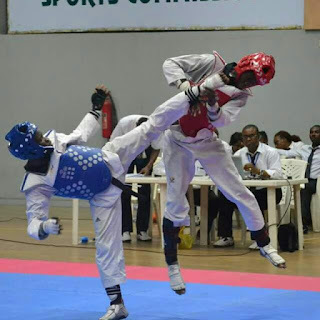 Osun born taekwondoist Abdullah Adegoke has qualified for the final phase of qualification for the World Taekwondo Championship to be held in Muju, South Korea in June. 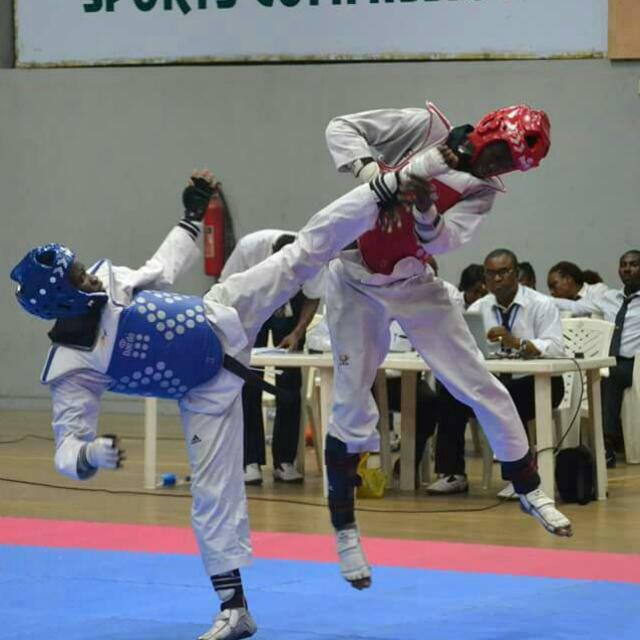 Adegoke defeated his opponent at the national trial held at the Korea Cultural Centre, Abuja, to get to the final phase of qualification for the championship. In a bid to select the best athletes and ensure good representation for Nigeria, the national camp will open in few weeks time for the final preparation ahead of the World Championship in Muju (South Korea). Abdullahi Adegoke's chances of representing Nigeria in Muju was given a boost by making the final list. And he knows he has to work harder if his dreams of winning medals for Nigeria in Muju are to come to pass. 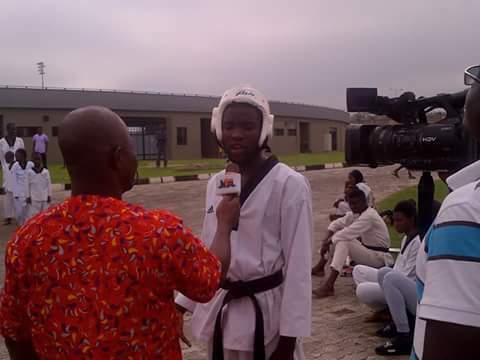 The Iresi born taekwondoist who has represented Nigeria in different taekwando competitions in the past including the World Youth Championship in Taipei (Taiwan), The Korean Ambassador Championship, Lagos Classics, the PANAMAI championship and the International Taekwondo Championship and many more insisted that he is still optimistic that he can get it right with proper preparation ahead of the Muju championship.
" There are just over 6 weeks until the World Taekwondo Championship in Muju begin. This is indeed a nervous time for me and my other colleagues who are aiming to qualify for the championship.
" There are a lot of expectation from the people and they anticipate me achieving something better after some of the competitions ( I've) have gone to in the past" Abdullahi said.
" For many of them, success is now expected and that brings even greater pressure and as young as I am, I love working under pressure, because it brings the best out of me.
" It's all about working hard towards achieving what you want to achieve. I work hard everyday with my coach at the Osogbo City Stadium, aiming to represent Nigeria again at the World Championship.
" Taekwondo is an individual sports and I hope to get more support from the State Government too, to achieve my goal, just like it is done in many other places.
" I want to continue making myself, the State and Nigeria proud and I just want to achieve a lot in my career. He concluded. The 2017 Taekwondo World Championship will hold in Muju, South Korea, from the 24th of June to the 30th of June and will have over 50 countries represented there.